Super cool shade cloth are a durable alternative for when it's just too hot for the mesh type, weighted with canvas to prevent bunching, satin lined in neck and shoulders and super quality fittings. 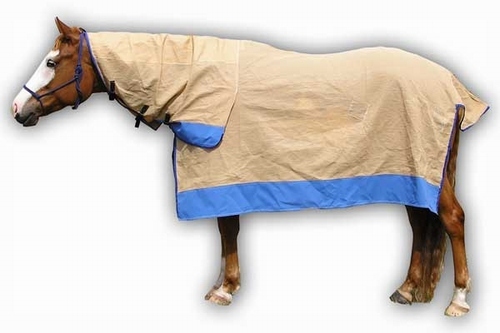 Shadecloth rugs will protect your horses coat and save time on grooming. Made from top quality industrial strength shade cloth. Great protection against insects.